Good nutrition, stress management, and regular physical activity are the foundations of hormone stability. 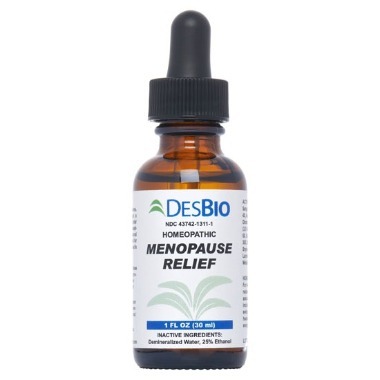 If you are experiencing symptoms related to hormone fluctuations associated with menopause, including hot flashes, mood swings, night sweats, flushing, headache, insomnia, weakness, and lack of energy, give Desbio's Menopause protocol a shot. 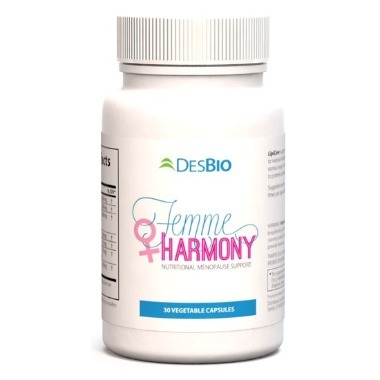 Homeopathic for hormone fluctuations associated with menopause, including hot flashes, mood swings, night sweats, flushing, headache, weakness, and lack of energy..
Femme Harmony was designed to help support relief from common menopausal discomforts while supporting overall well-being.